Thriller Re-issue of Hitchcock's classic 1954 thriller about a photographer, confined to a wheelchair after breaking his leg during a shoot at an auto race, who suspects that the man who lives opposite may have killed his wife. Unable to investigate himself, the man enlists the help of his girlfriend and his nurse to prove the neighbour's guilt and bring him to justice. 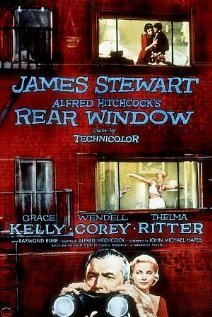 Rear Window is not currently showing anywhere.